there is an old country western song that says prop me up by the jukebox. it involves an unfortunate circumstance for the singer as he has absolutely no choice where he gets placed. yup he is beyond all that. still he gets to ‘listen’ to all his favorite music. what a trade off. 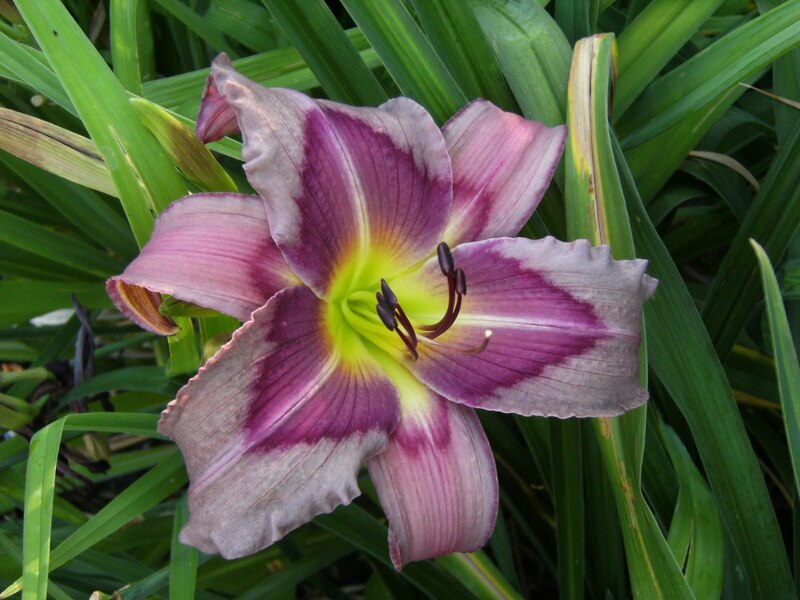 now while i would not want to be out in the garden in this cold weather come summer i would not complain so much. 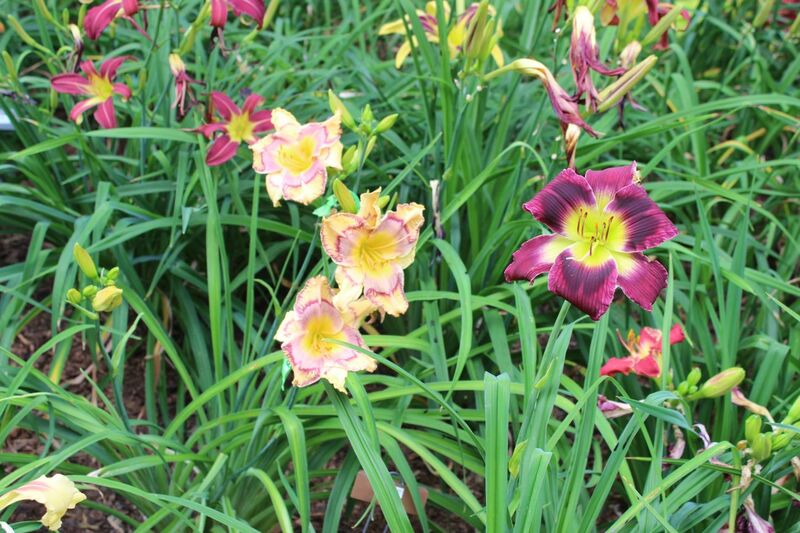 and yes the flowers are still prettier than this prose. oh did i mention that the singer moves at the speed of a norwegian blue ? 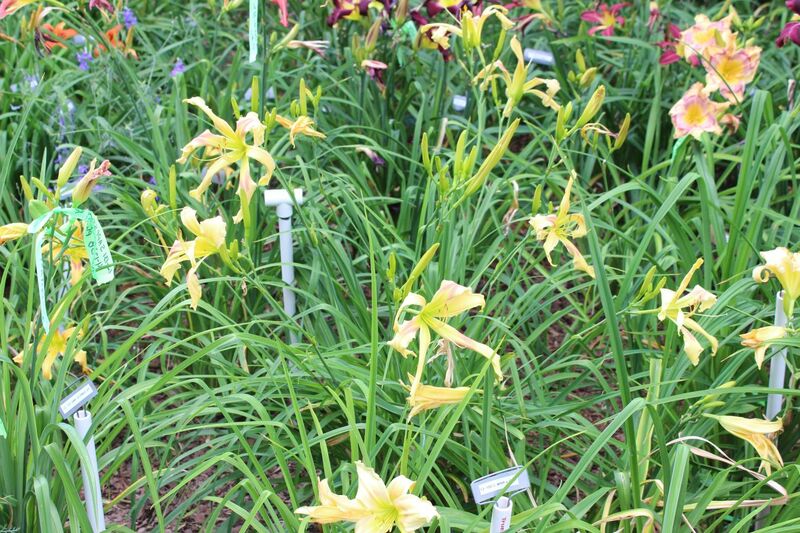 This entry was posted in daylilies, flowers and tagged blog, blog daylily, blog gardens, bloom, daylilies, daylily, daylily blog, daylily image, flower blog, flower image, flowers, garden blog, gardening, gardens, hemerocallis, life, nature, Norwegian Blue, perennial, perennial plants, serenity on February 10, 2019 by John Hric. Sorry it is just a working title. So if at the end of this post you find your self stumped that parts seem to be missing try to think fondly of the mostly sleeping Norwegian Blue. Sadly for some they will discover that this post does indeed involve dayliles. 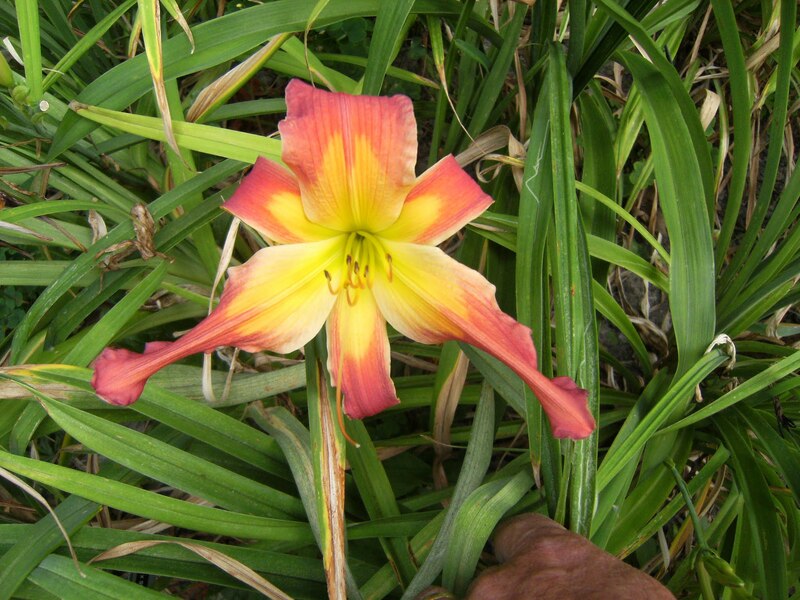 Sadly for others they will discover the daylilies only manage to creep into the post in a most oblique way. More slowly than a creeping Norwegian Blue. 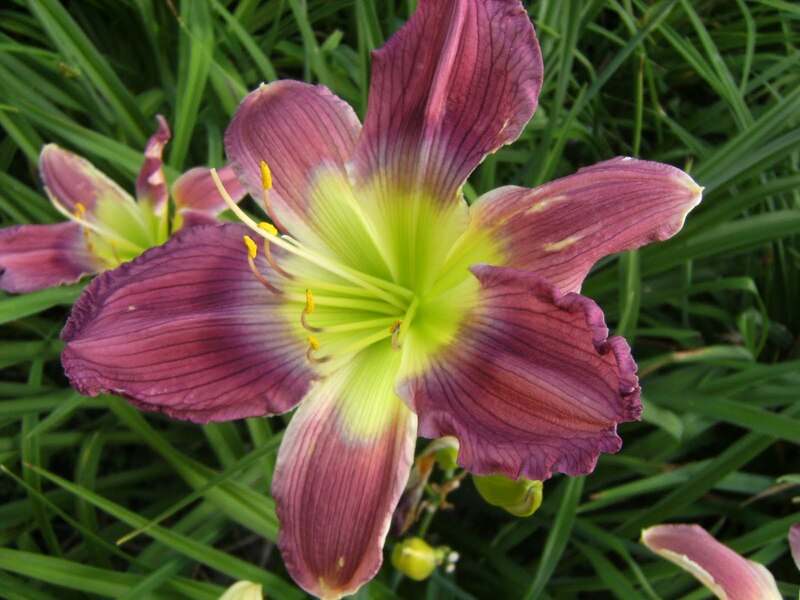 Mind you the Norwegian Blue has no bearing on the current fascination with blue in the daylily universe. The Aye zone on a pirate ship is anywhere in hearing of the captain’s orders. Say “Aye” now. 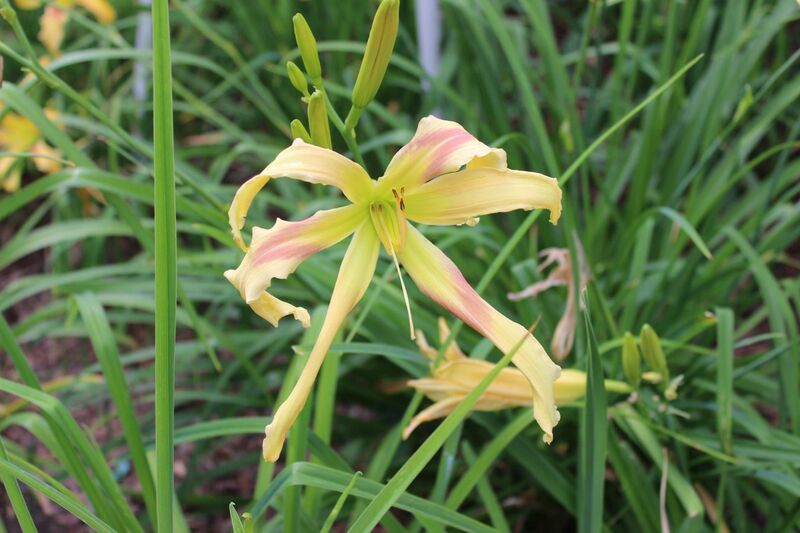 Drifting to the daylily universe the eye zone is the area between the edge of the flower and the center of the flower. Don’t blink, just say “eye” now. Some would say this is an exaggeration. 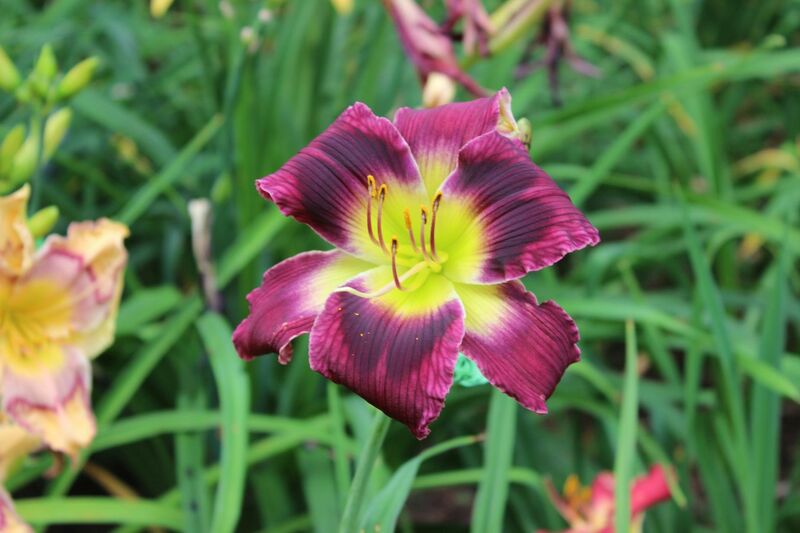 Some others would say some daylilies have very big eyes. I will spare you the song lyrics that might be injected here. 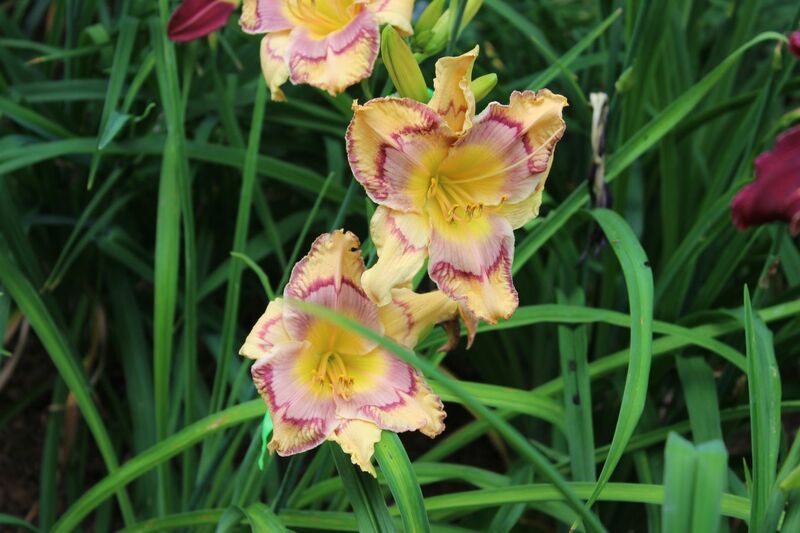 We will just go with a few examples of daylily eyes. And this is an eye zone Have you got your eyes right pirate ? Say Aye now. And if you will lean on that shovel for a moment ( you can imagine a freshly buried/planted treasure chest ) Well now matey that would make you gardening like a pirate. ARRRRR !!! If you see a goal post, then this would be the end zone – so we are clearly out of the Aye zone. 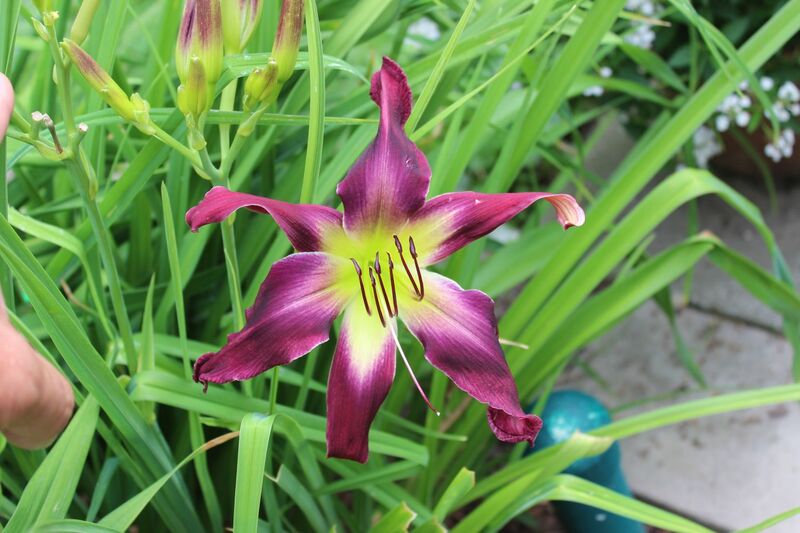 This entry was posted in daylily, daylily blog, garden, how to, life, nature and tagged arrrrr, aye, daylily blog, eye zone, garden blog, garden like a pirate, Norwegian Blue, pirate, pun on July 14, 2012 by John Hric.